A checklist available to help guide your Inquiry planning in Education. Inquiry-based learning is an educational strategy that builds on something we all do: ask questions about the world around us. Children are particularly curious and full of wonder. As educators, we can harness that natural curiosity within our students and help them to learn and grow from those questions. The inquiry process is connected to this process of asking questions. However, it is much more complex than merely asking questions and finding answers. 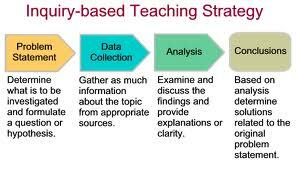 It is a process by which we encourage students to find the information they are seeking, and then help them to turn that information into something useful and directly related to them. Inquiry is about expanding the minds of our children, beyond the basic content of the curriculum.